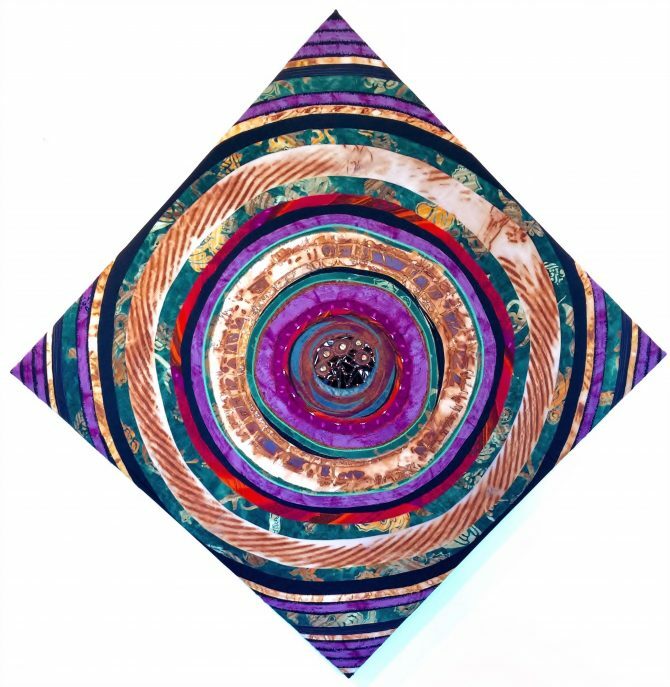 Rosanne Giacomini’s Rematerialized is an exhibit of contemporary fiber art paintings consisting of various materials, including recycled and hand-dyed fabrics, thread, paint, paint pencils, markers, beads, wire, and glass. Giacomini’s process begins by selecting a primary piece of fabric as a foundation. She then cuts and positions coordinating fabrics around a focal point, hand sewing the pieces in place or using vintage sewing machines. The resulting abstract, geometric pieces have an organic feel and are left open to audience interpretation.